Fwd: തദേവൂസ് അച്ചൻ അഭ്യർത്ഥിക്കുന്നു: ഓണസദ്യയ്ക് സ്വയം കൃഷി ചെയ്ത പച്ചക്കറികൾ സംഭാവന ചെയിതു സഹായിക്കാമോ? ബുധനാഴ്ച്ച (ഓഗസ്റ്റ് 30) 6pm നും 9pm നും ഇടയിൽ സ്വയം കൃഷി ചെയ്ത പച്ചക്കറികൾ കൊണ്ട് വന്നു സഹായിക്കുമോ? താഴത്തെ ഹാളിൽ എത്തിക്കുക. ബാക്കി ആവശ്യമുള്ളത് നമ്മൾ വ്യാഴാഴ്ച കടയിൽ നിന്ന് വാങ്ങും. Reminder: Choir practice today at 6.30 PM. 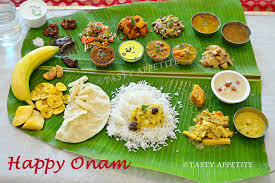 Sun, Sept 3, after the Onam Sadya, for all those who are going to join THE COMMITTEES. May God bless through the prayers of our Mother Mary all 79 sponsoring families! Today's practice was attended by 22 children. Thanks to all the parents who brought the children and thanks to Sophia for teaching. Next practice will be on August 25th Friday at 6.30 PM. Beth Coakley will teach. This Sunday - Aug. 20th after the 11 AM mass. Please mark your calendar and bring the children to all the above practices. Thanks. Internet Adult-Faith Formation and Spiritual Resources. "register with your parish code"
That will lead you to another page asking you to register with your email address and creating your own password. Thereafter you can use all the faith formation materials to enrich your faith. Please use this and share with your young adult kids. I have registered and I see it as a great source of learning about our faith and spiritual enrichment. You will see this as a St. Boniface church page; nevertheless, let us also benefit from this unlimited-number of membership- online Adult-Faith Formation program. Please know that this is not an attempt by any one to get your information; but is controlled by the Archdiocese and is being used in the past year by thousands of people. From St. Boniface, we have only 5 people registered. 30 minimum registration per parish is required by the Archdiocese for them to pay the company. I thought, we could benefit from this situation and also of mutual help. 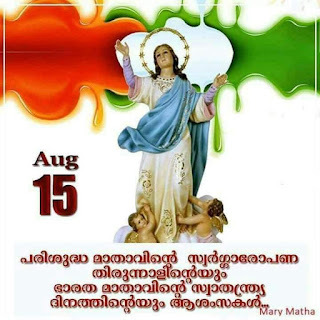 Happy Feast of Assumption of St Mary and Happy 70th Anniversary of the Independence of India!! 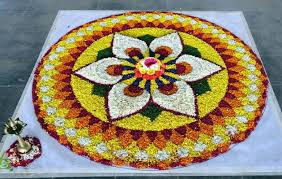 I wish you all a very happy 70th Anniversary of the Independence of our Motherland, India!! PS: I will also offer the Latin English Mass for St Boniface at 7.30pm. Those come late from work are welcome to this. Now please watch and listen to the video of our national anthem.